Events are still a relatively unusual content type so gain attention and are suitably viral. In this 27 minute Masterclass we show you how to set up an event for maximum visibility and share our tricks and tips for maximising the potential of your event on Facebook. 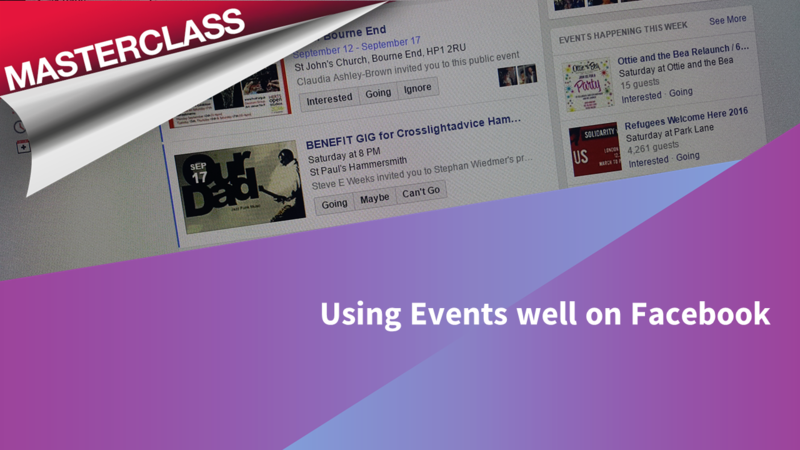 We also include some ideas for using the new Facebook Events app.